way,way adorable! i'll be knitting a few of these in the near future. 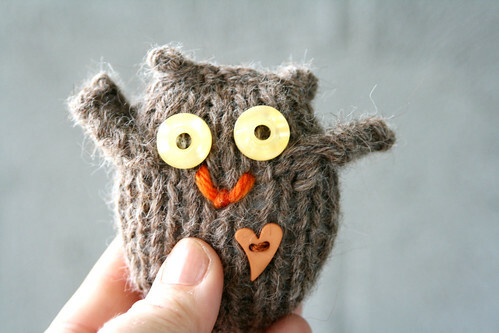 thanks - everybody needs more small woollen owls in their lives...then again, after seeing your blog I keep thinking of cervixes, ha! 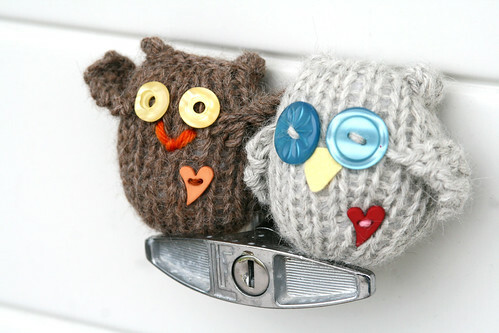 Soooooo cute, I need to knit owls. 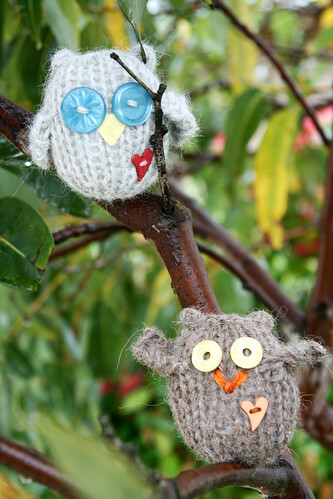 I am not sure why I need to knit owls, but I just feel I need to. glad you like them...clearly we have the same needs, ha! They are darling!!! I am a BRAND new knitter, but I sure would LOVE to try one of these...or two...or three:)!! Thank you for such a beautifully written tutorial! You should definitely try them - they are a little addicting though! If you have any worries during the process, please just yell, Im more than happy to help....hooray for bringing another crafter over to the dark side!